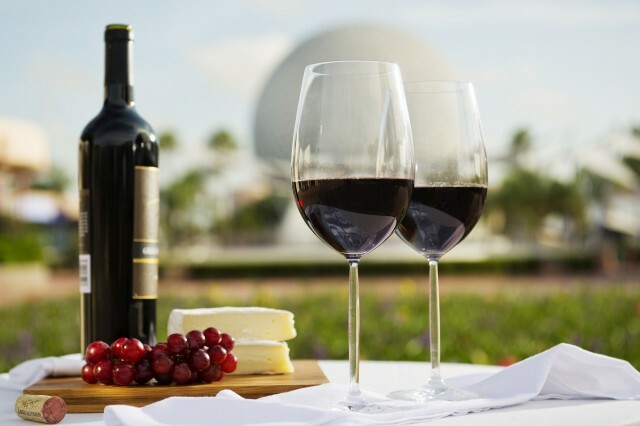 Epcot Food & Wine Festival Special Event Bookings Open Now! The bookings for the 2014 Epcot Food and Wine Festival special events are now open to the public. The festival’s premium events can be booked by phone at 407-WDW-FEST (407-939-3378). Certain special events including seminars, demos, Party for the Senses (for October 4, 11, 18 and November 1), and Disney’s 3-D Dessert Discovery can also be booked at epcotfoodfestival.com. There are a few new special events added to the festival this year including:Dining Through the Decades, A Tribute to Walt Disney; Experience Puerto Rico – The All Star Island; Epcot International Food & Wine Festival Boot Camp Series; Food For Thought; Mediterranean Food and Wine Pairing; and Italian White Truffle and Wine Pairing Dinner. For all the information on the Epcot Food and Wine Festival special events visit the Disney Food Blog’s 2014 Epcot Food and Wine Festival Special Events page. Disney also announced two additional events – Epcot Food & Wine Late Nights LIVE! and an Epcot Food and Wine Premium Package. The Late Nights event takes place every Tuesday and Thursday during the festival and for $79 per person (plus tax) guests can the late night between the United Kingdom pavilion and Showcase Plaza. The Premium Package runs Monday through Thursday nights during the Festival and gives guest the chance to “sip and savor dozens of unique, fresh flavors from six continents.” The package is only available to guests of the Walt Disney World Resort hotels, the Swan & Dolphin Hotel, and residents of Golden Oak. This package costs $199 plus tax and includes an in-room gift bag, admission to one Epcot Food & Wine Late Nights LIVE! event, a themed Food & Wine Magic Band, a $50 gift card, and access to the Premium Package areas where guests can order food and have it delivered to them. For all the most up-to-date information on the 2014 Epcot Food and Wine Festival, check out the Disney Food Blog’s 2014 Epcot Food and Wine Festival page. This entry was posted on Saturday, August 2nd, 2014 at 12:00 pm	and is filed under Dining, Hotels, Planning, Theme Parks. You can follow any responses to this entry through the RSS 2.0 feed. You can leave a response, or trackback from your own site.